The conscious uncoupling between Google+ and the Play Store is accelerating. 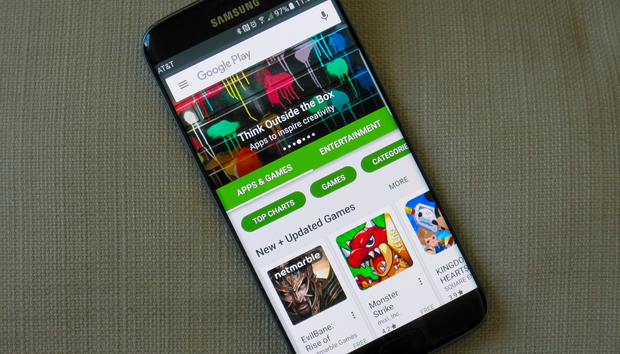 A couple of changes to the Google Play app highlight this trend. The +1 button has disappeared on app profiles. It used to live next to the sharing icon, but it’s no longer there. There’s no more +1 button inside the Google Play Store app. Also, another report says that you may no longer need a Google+ profile to leave a review. The review would be tied to your Google account, which you have to have anyway in order to access the Play Store. The story behind the story: Once Google+ head Vic Gundotra left the company, the deconstruction of Google+ began. On Android that’s manifested itself with the removal of Google+ from beta app testing and Google Play Games. Google+ has a very niche audience, consistently mostly of tech enthusiasts, Android fans, and Google employees themselves. It may still have a role to play, but the days of trying to force everyone to join in are thankfully over.